Libras are the ‘big picture’ boys and girls of the Zodiac. 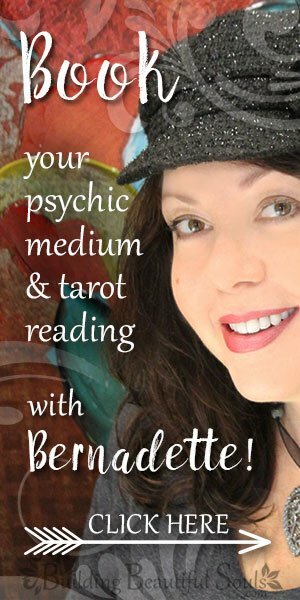 This star sign has an uncanny ability to truly see situations and people in their entirety in that they ‘see’ holistically, globally. Whereas others of us get trapped by our own opinions, the Libra sign can and does ‘get’ all sides of a thought or idea. If you see an empty field that only a short time ago was full of blossoms, look again. Parents of a Libra child will be happy to know that their task won’t be overly difficult. Libra children have pretty even personalities with a healthy portion of tidiness thrown in for good measure. When brought up in a happy home, most become very stable adults. In social circles your Libra child is always part of a conversation. The Libra symbol is that of The Scales. This implies they like hearing both (or more) perspectives on any given subject. When a discussion gets out of balance, however, they will naturally move into the fray trying to build bridges and shrink gaps. This makes a Libra child rather popular but out of that throng he or she chooses a small circle with whom they remain close. That companionship is important to your child and when they do not get enough quality companionship the Libra child’s opulent imagination may create make-believe friends instead. Your young Libra likes conversing with one person more so than groups. They have great minds for words and often connect with people older than themselves because of that gift. This includes mom and dad. Be ready for your child’s inquiries and requests for input on their concepts. This is a very important aspect of the Libra personality and the way in which they open up their most personal thoughts to others they trust. As the Libra child grows, these discussions help them formulate their world views and ethics. Rarely will your child ever grow emotional during these talks – Libra craves balance even with his or her own emotions. 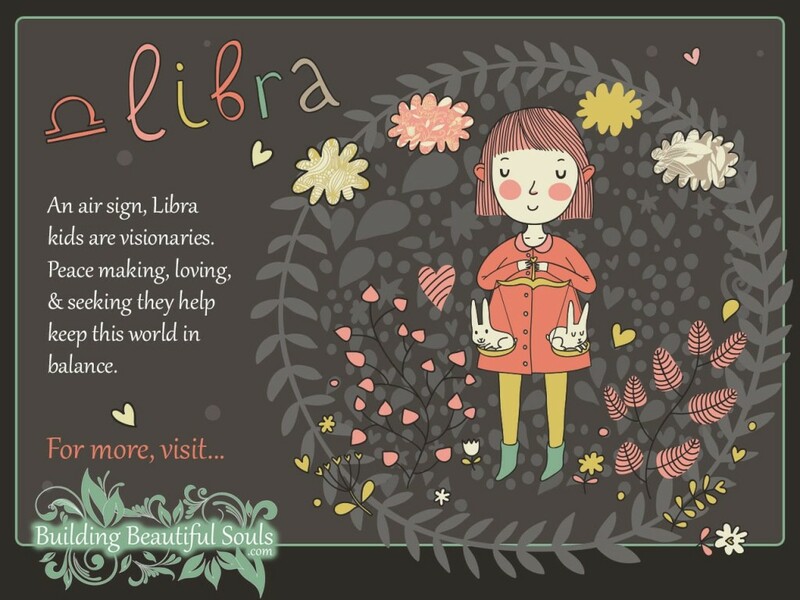 What other characteristics can you expect from your Libra child? Well, just like The Scales that symbolize this sign, they have a finely tuned sense of fairness. Right and wrong are clearly defined lines in the Libra heart and soul. That’s why they become on-going negotiators inside and outside the home, making sure everyone follows the same standards and rules. Combine the Libra child’s mediation skills with a natural need for harmony and you have a ready-born peacemaker on your hands. It’s easy to see how this could go terribly wrong and cause some power struggles. If you explain to your Libra sound, balanced reasons for your actions or words, you’ll have much greater success than you would by raising your voice. Negativity literally makes a Libra sick. Otherwise your child may detach themselves completely staying noticeably absent from disagreeable tussles. In this case the Libra says, “when the going gets tough – I get going AWAY”. They will stay in that safe spot until the dust settles. Additionally, and this is a really tough one for parents, the Libra child is so disturbed by negativity that they will do almost anything – anything – to avoid it. This means lying, cheating and stealing if they think their doing so will keep the shadows away. On a more positive note, Libra’s are great lovers of beauty – in all its forms. They seek to constantly create and be surrounded by beauty but not for shallow reasons. They have a naturally sophisticated and discerning eye as regards beauty and though their methods can be less than ethical or scrupulous, their intentions are noble. See, the Libra’s appreciation of beauty is born of their soul’s calling to teach humanity that the most beautiful ‘thing’ we all can be and behold is love. Venus rules the Libra daughter making them inordinately adorable. The Libra girl may take quite a fetching picture and even seem to know when the camera turns her way. She loves to make the people in her inner circle happy, but she also craves attention and affection to the point of becoming difficult. There is no such thing as telling your Libra girl “I love you” too often. Particularly as young children they don’t seem to wholly believe they can be loved. As with any Libra child, your daughter walks a very narrow line. She does not step purposefully into doing anything remotely “wrong” so cut her a little slack when she tumbles accidentally. She’ll feel terrible about it and go overboard to get things back on track. For your daughter’s personal space, focus on pretty, appealing colors and decorations. Be ready – she wants to help. You could do something avant-garde like having one wall that’s a living chalkboard for her and her friends (yes, she gets to draw on the walls but because it “cleans up” it works and inspires her creativity). No matter where she goes your Libra daughter is generous to a fault. The Libra personality doesn’t understand greed, and the concept of scarcity is seriously bothersome. You can expect strays on your doorstep needing a bandage or a decent meal (and we’re not just talking children). In this you may need to give your daughter some boundaries of what constitutes safety with strangers. When it comes to socializing nothing gets your daughter more excited than a party. Give this star sign the opportunity to help with any special celebration and she’ll be occupied for months. Don’t be surprised to see her creating a musical play list suited to the occasion along with guidelines for proper attire. Libras have serious potential as party planners even at a young age. As a parent one of the most heartbreaking things about your Libra daughter is that her sense of justice is a very large burden in a world that is often anything BUT just. This brings frustration and tears, along with very long, detailed conversations about life’s sometimes ugly realities. This particular facet of your girl’s personality becomes strongest as a teen. Have a good batch of cookies and a shoulder ready after school. She will treasure her private time with you, and this makes your bond even stronger because you’re listening and paying attention to things that others dismiss. Your Libra son is a natural pacifier for the entire household. When they’re very little you may find that your Libra son cries if people raise their voice or if he sense stress in the home. It’s the only way they can express their need for peace. As the Libra boy grows older, when something inside or outside the family disrupts harmony they “fully activate” working diligently to find a resolution. Alternatively some Libra boys turn away from a more assertive approach and simply watch things unfold from the sidelines until it seems safe to come out. Both characteristics have value to the Libra personality. In the first instance he’s taking an active role in creating harmony and in the second he’s protecting himself from feelings that as yet he’s too young to understand fully. One thing your Libra boy understands very well, however, is how to be a good friend. They have grand social skills including a gift of gab normally attributed more to little girls. One of their more lovely personality traits is that they truly want the best for the people about whom they care about. If anything goes awry, particularly bias or injustice, they become a fast, supportive friend even after everything resolves itself. The Virgo son doesn’t pick his companions lightly. It is a mindful choice and one that he honors diligently. One of the amazing things to watch in Libra boys is their aptitude for creating compromise and getting people to work together. The hard part is helping him to realize that life includes conflict and differences of opinion. Sometimes the Libra needs to say, “agree to disagree.” Your son also reflects this internal struggle in his decision making process. The scale of life isn’t always perfectly equal. He strives so hard to look at both sides that he may stall out completely, feeling lost in confusion. This is not the time to become impatient with him. He needs you as a trusted ear so he can talk through his quandary. A caution to Libra parents: it’s tempting to spoil your son because of his sweet demeanor. Libra loves praise and reward and it shows in how they respond. So, keep the vision of the scales in your mind. Balance is what your Libra child brings to the world but they are also here to better learn this trait as well. Some other things you can expect from your Libra son include artistic interest, a nearly neurotic love of organization and cleaning, an a gravitation toward music. Include some of these ideas when making a space for your child.